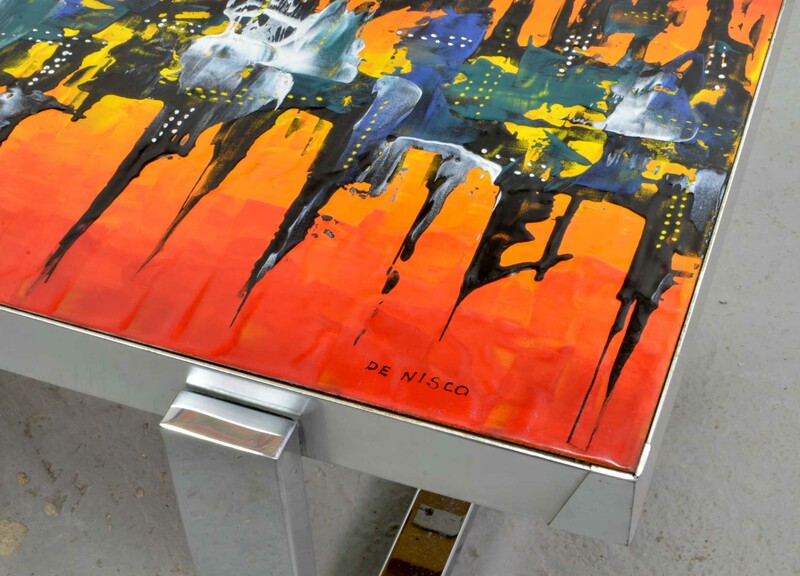 Colorful midcentury design enameled skyline coffee table designed by De Nisco and manufactured in the 1970s. 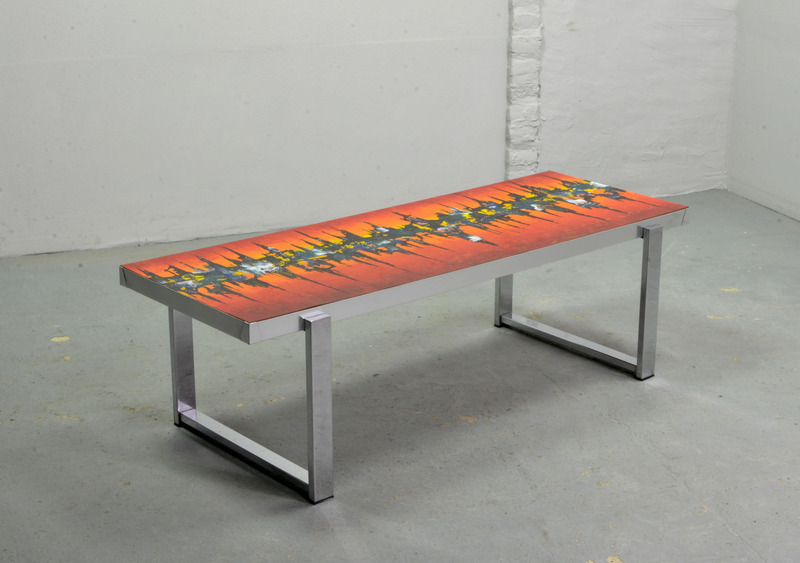 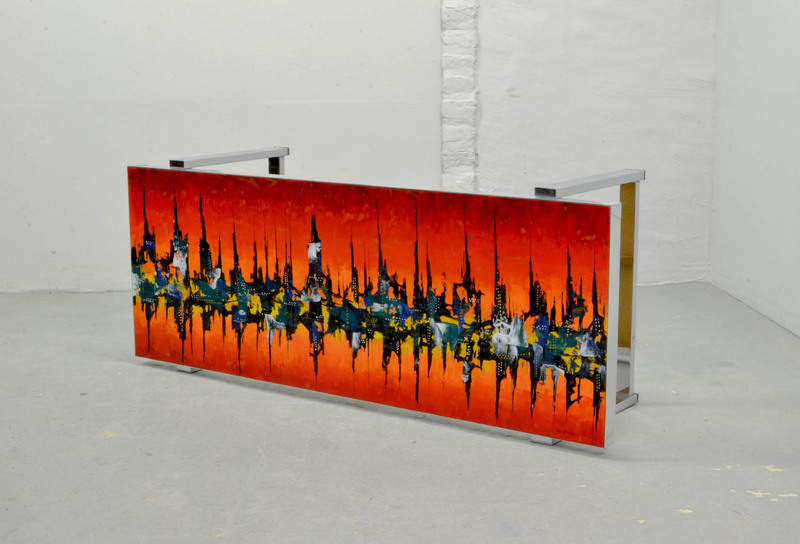 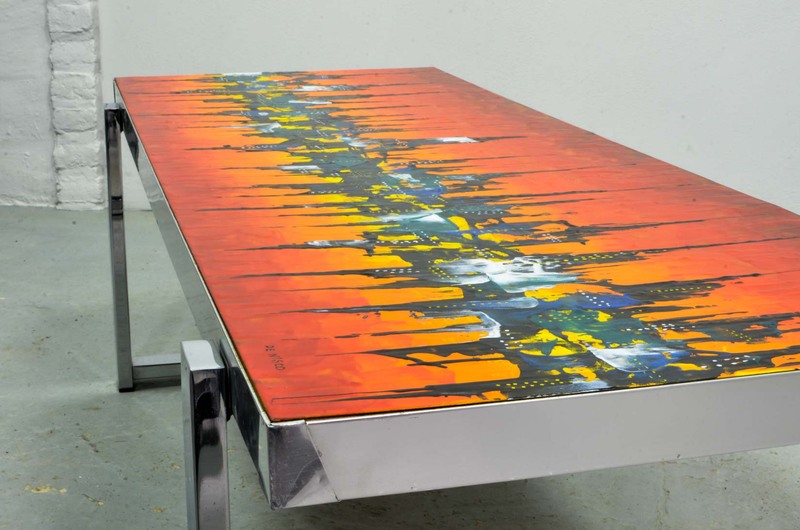 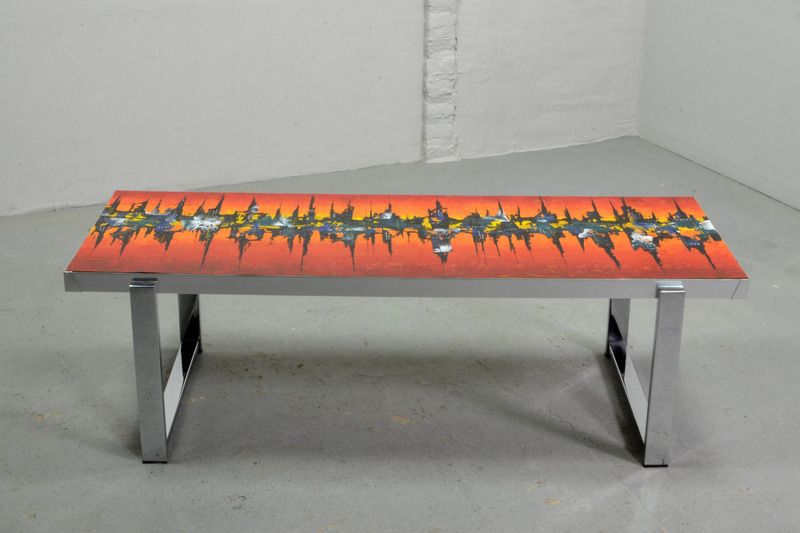 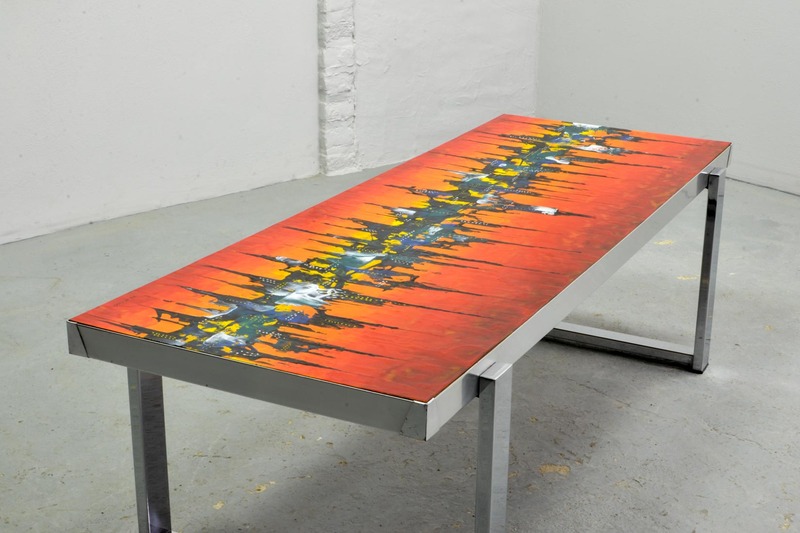 The table features a chrome steel base with a very decorative hand-painted top representing an urban skyline reflected in water executed in a variety of bright colors. 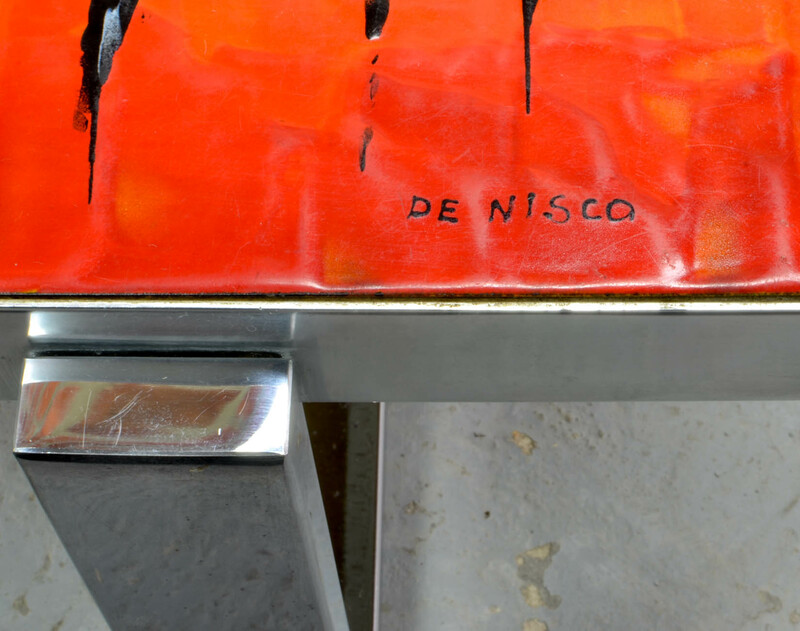 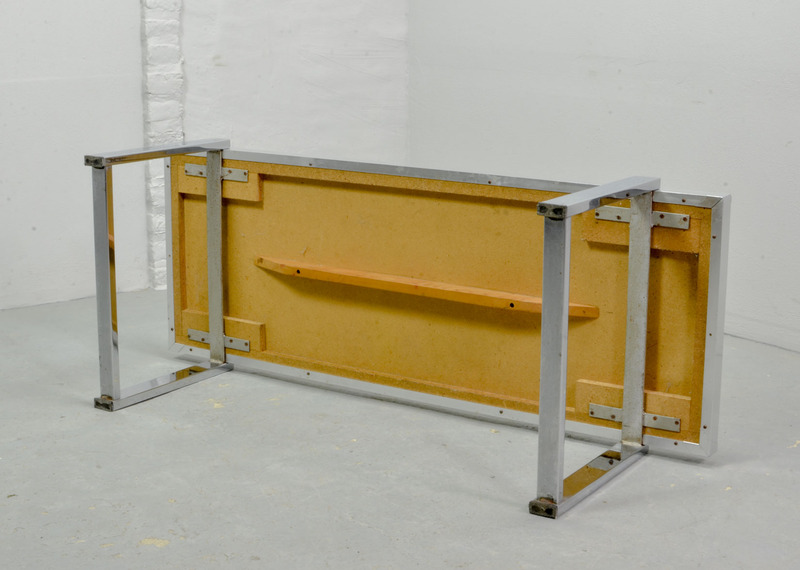 This original De Nisco signed table is a very well preserved item in excellent condition.